Three short contributions that have caught my eye raise a series of interesting questions about contemporary ‘security archipelagos’ (in multiple sense of the term, hence the plural). 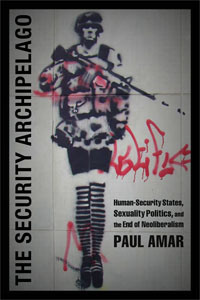 ‘Amar asserts that we need an analytical framework focused on the rise of human security—a governance regime that “aim[s] to protect, rescue, and secure certain idealized forms of humanity.” This new regime is gradually replacing neoliberalism, Amar contends, “as the hegemonic project of global governance and of state administration.” This shift is evident in how security is now justified and pursued by states. The antagonistic relationship between security and human rights that characterized the “neoliberal market states” of the late 20th century is no longer so evident. The repressive security strategies that underpinned earlier development paradigms have been succeeded by the “promise to reconcile human rights and national security interests” in the interest of economic prosperity. Progressive and conservative security doctrines now agree on the imperative to “humanize” (or “humanitarianize”) both state and parastatal security apparatuses. The result, Amar argues, is what he calls the “human-security state”: a globally emergent governance regime with “consistent character and political profile.” From Latin America to the Middle East, political legitimacy is increasingly based on securing humanity against a range of malicious forces…. Eventually, Fuchs and several others left the NSA, and now their company [Sqrrl] is part of a land grab in big data, where several companies, like Splunk, Palantir, and Cloudera, have quickly become worth a billion dollars or more. Over the summer, when debate broke out over NSA surveillance of Americans and others, Sqrrl tried to keep a low profile. But since then, it has found that its connection to the $10-billion-a-year spy agency is a boost, says Ely Kahn, Sqrrl’s head of business development and a cofounder. “Large companies want enterprise-scale technology. They want the same technology the NSA has,” he says. The fascination with, and fetishization of, technologies of global location and surveillance often makes us forget that, for all their sophistication, we live on a planet riddled with opaque zones that will always erode the power of human-made systems of orientation, for the simple fact that no such system (contrary to what the NSA seems to believe) will ever manage to create an all-seeing God. This opacity is intrinsic to the textured, three-dimensional materiality of the surface of the planet, and is especially marked in the liquid vastness of the ocean. 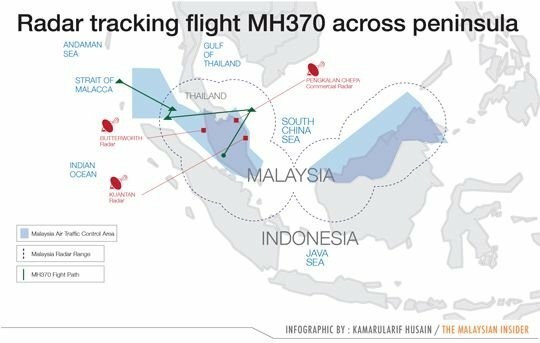 Analysts say the gaps in Southeast Asia’s air defenses are likely to be mirrored in other parts of the developing world, and may be much greater in areas with considerably lower geopolitical tensions. This entry was posted in books, intelligence, security, surveillance and tagged Antonio Regalado, Gaston Gordillo, geospatial intelligence, NSA, Paul Amar, security, Sqrrl, surveillance by Derek Gregory. Bookmark the permalink.